Roy has always loved wood. He started building with his grandfather when he was 8 years old. During high school he attended Joseph P. Keefe Regional Technical Vocational High School . He graduated top of his class and was presented with a full college scholarship. But Roy wanted to build, not sit in a classroom, so he went into business. mouldings for a project himself in his shop) but wanted more..
in Northampton and surrounding towns. Roy’s love of the craft shows in all his work. He demands quality. CC Builders is one of the few companies around that does the work from the site work to the finish. 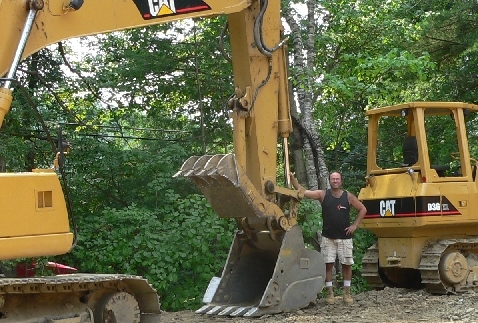 You can find Roy on the site doing the excavation, the framing or the finish carpentry. He’s a hands on builder known for his quality and unique features. Great reputation, great quality, great guy.